The one and only Terminator, yes I am talking about Arnold Schwarzenegger has found a perfect vehicle for his on screen image. 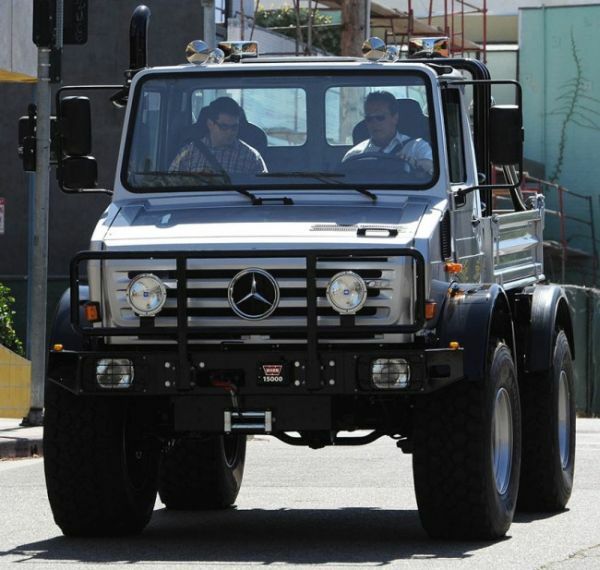 The 65 year old former governor of California was seen driving around Santa Monica in a huge Mercedes-Benz UNIMOG truck a few days back. 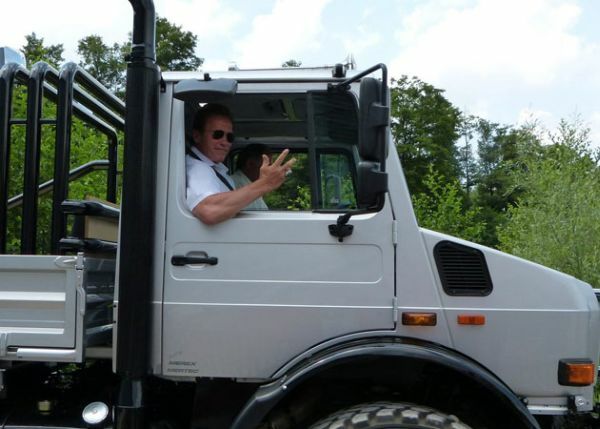 Arnold has bought a $250,000 Mercedes-Benz Unimog U1300 and looks like the former Mr. Olympia body-building champion is celebrating his long awaited return to acting by getting into the groove of his action image. The monster truck is specifically designed and modified by a German company Mertec, for normal road conditions as it is used as a military vehicle all around the world. This ultimate vehicle can perform hazardous tasks like rescue operations, fighting forest fires, military related duties and excellent winter services. The new Mercedes-Benz Unimog will add on to the actor’s collection of Mercedes vehicles which includes a Mercedes-Benz SL-Class convertible and a classic Mercedes Excalibur.